Oh how I do so dearly love Lush. For years now, I have been treating myself to their luxurious handmade lotions and potions and bath and body products. There is nothing I love more on a cold and frosty winters night than immersing myself into a foamy, glittery Lushified bath, nothing I love more in the summer than using their body range to prep my skin for false tanning. 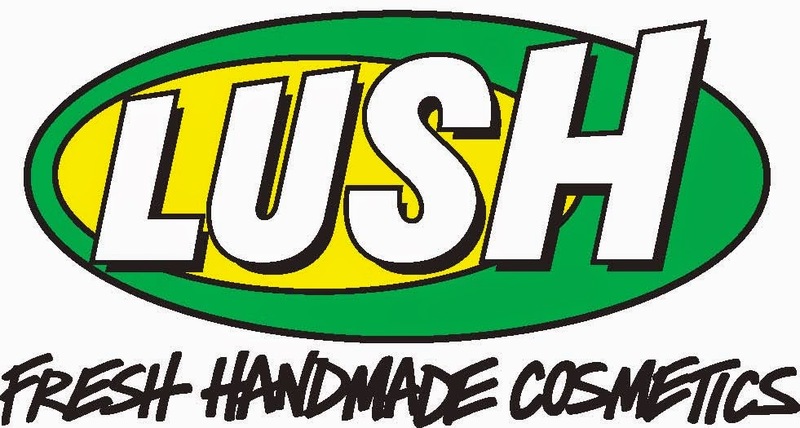 I consider Lush to be such a basic staple in my routine now that I barely talk about it- in the same way I don't talk about my favourite toothpaste or favourite apples, but I felt like the time is right to share with y'all my top 10 Lush products. I haven't included any limited edition products in this line-up because I thought it would be a little unfair of me to do so if you feel compelled to go forth and purchase at the end of this post. Without further ado, let's crack on into it! My favourite thing about Lush is Karma. Oh child, if you have not yet had the pleasure of getting up close and personal with Lush Karma anything, you are missing out! When I smell Karma soap or use a Karma bubble bar, the world just turns into such a joyous place, I actually think Karma is my all time favourite smell ever in the world. Now I love the Karma soap, but I cannot use soap in the shower because it completely dries my skin out, so I get my Karma kicks from Karma Kream, a delicious moisturising body cream that I apply generously post shower for some body conditioning. I have since discovered that I pretty much love anything with patchouli and the sweet orange hints in the Karma line are incredibly warming. This little pot of joy is one of the new self-preserving summer releases from Lush and I use this as an in shower moisturiser, I generously apply a scoop of this thick, silky cream over my body in the shower, rinse it off after a minute or two, and voila!- it smells just heavenly (frangipani flowers if you don't mind) and transports me to a higher place. My skin feels so incredibly soft and nourished afterwards and the scent actually lingers and stays with you post shower which is just completely awesome. I was a fan of the effect of Ro's Argan Body Conditioner but I find rose scents can be a little overpowering at times (just personal preference) so this new body conditioner will be a permanent fixture in my shower routine for the foreseeable. I've pretty much tried every single Fresh Face Mask Lush have to offer, and I currently have Catastrophe Cosmetic on the go. My favourite is BB Seaweed which is a gorgeous relaxing clarifying mask and just leaves my skin feeling fresh as a daisy afterwards. Also- if you didn't know- Lush have a scheme where you can return five clean empty Lush black pots or tubes to store and take home a Fresh Face Mask free of charge for your trouble. I love it when brands do this- good karma points for being environmentally aware AND a free treat! I like to change up my face mask selection depending on what phase my skin is going through and there is a mask available for pretty much every skin event you can think of. I tried my first pot of Ultrabland probably over 18 months ago now, and I have been through a few pots since. A thick waxy cleanser, this removes absolutely every trace of makeup and general environmental face gunk from your face. I put this all over my face at the end of the day, rub it in and use a nice hot face cloth to just wipe everything off my face. This is such a gentle method, does not leave any tightness in your face, no redness, skin irritation etc. I'll keep repurchasing this for sure. Again, this product smells so incredible, when I unscrew the lid off this in the shower, I am just bowled over by the aroma coming out of the pot. This is my skin exfoliator of choice, perfect for prepping your skin for fake tanning or just removing general skin death from your body. The sea-salt granules provide a nice scrub without rubbing the skin off yourself- however if you want a more abrasive scrub, try this before you pop into the shower when your skin is still dry. Some of the kind crew at Lush have also dared me to put this in my hair for volume but my hair is as dry and thick as a large Texan cactus, I don't need any help in that department. I'm not sure if this is something I would have picked up myself off the shelf as I received this in a PR box at the launch of the self-preserving products back in May- however, this has been a game changer for me. I hate shaving my legs, it never brings me any joy the way a nice face mask or body scrub does, but this gorgeous strawberry scented, marshmallow textured shaving soap has achieved the unimaginable and actually made me enjoy defuzzifying my legs. By all accounts, it's named after Fluff, the strawberry marshmallow snack, and even looking at it in the pot makes me want to stick a spoon in and have a taste (which, for the record, I do NOT recommend). My legs get terribly irritated from shaving but this cream is so softening and soothing that they actually feel incredibly smooth and moisturised afterwards. If you are similarly unenthusiastic about shaving your sensitive, scaly legs too, try this! 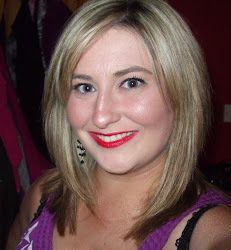 Now I never would have thought to try Lush makeup, I associate Lush with dreamy bath and body treats usually, but a while back, I was drawn to the Liquid Lipstick in Passionate which is the most blue toned fuchsia I have ever come across in my life. It's incredibly easy to wear on the lips, and it stains your lips therefore no need to have the fear of the fade. These lipsticks are also perfect for layering with other lipsticks and lipglosses for plays on the colour. My newest Lush liquid lipstick addition, the gorgeous pinky-purple Drive, was courtesy of the lovely peeps at Lush Cork as they allowed me to pick out a colour of my choice as part of the #corkmeetup festivities. It is such an exquisite colour and is a more pigmented version of one of my favourite YSL Rouge Volupte Shine lippies (19). I have been through a few Buffy bars in my lifetime now and the reason I keep going back to it is because I am lazy and it is a dual purpose product- packed with cocoa and shea butters to leave you feeling soft and moisturised, and containing ground rice, almonds and aduki beans to buff and exfoliate your skin. I usually step out of the shower and whilst I am still wet, I give myself the once over wherever I desire with this bar, pop back into the shower to rinse myself off, and gently pat myself dry with a fluffy towel. This bar comes in two sizes but i personally prefer getting the smaller size and quartering it and using a quarter at a time- I just feel like it lasts longer and I get more bang for my buck this way. I have had this bottle for over a year now and I just can't get through it, this stuff lasts forEVER! A simple cornflour base that smells of grapefruit, it is an incredibly fine white powder that just absorbs any oils on your hair. Now, it's not as easy as a can of Batiste, but it's heck of a lot more economical and just as effective, as long as you are careful about the application. I usually apply a bit in my hands, rub my hands together and apply into the roots of my hair, leave it there for a few minutes and then give it a bit of a whoosh and work it in and voila. I can imagine this would also be awesome for adding volume to your hair if you were so in need- I have quite the mane of hair anyways so I don't need volume- but add some of this into your crown and work in with your fingers. Just be careful when applying it that you don't cover yourself in white powder (ooh err). Lastly, I couldn't do a post of my top ten Lush products and not include the one that I use on a daily basis- the lip scrubs. These are genius little pots, and my favourite out of the three is Popcorn, which tastes just like popcorn. These are very fine sugar scrubs in little pots that you apply onto your lips and they take away the dead skin and leave your lips ready for lip balms and treatments. Now that I have shared my top 10 Lush products, I would love to know what your favourite Lush products are- have I included your favourite in my top list already? Is there anything I NEED to have in my life? I haven't tried anything from lush in ages but I do love the Karma range and the lip scrubs, must treat myself to something new soon! I love the French Kiss bubble bar and dragons egg bath bomb. So fun!